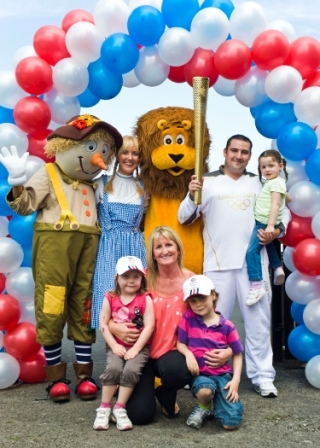 Staff and their families, as well as families that use the nurseries and have relatives living in the care homes, were invited to the event – which was opened by Tynemouth Olympic Torchbearer Neil Weir – to enjoy fairground rides, live music, Irish dancing, magic tricks and craft stalls. A total of £942 was raised at the event which will be added to £120 raised at a balloon race at Quorum Business Park, and £210 raised at a fashion show. The money raised will be used to support the charity’s three main aims, developing innovation to help prevent and cure children from becoming ill and to reduce stress for both the child and their family, working in partnership to improve life chances of children with physical, mental and emotional needs and delivering practical interventions both in the home and wider community, to improve the safety of children in the North East.